Expanded opportunities for sustainable and impactful local service projects and meeting programs. Leveraged relevant service opportunities to grow membership, particularly in attracting younger prospective members. Gained networking opportunities with Habitat volunteers and supporters. Increased resource development opportunities and volunteer pool for affordable home construction sites and ReStore e-commerce and retail operations. Increased skill sets for Blitz build, the complete construction of a new home in nine working days. Enhanced home repair programs, particularly Neighborhood Revitalization and Aging-in-Place programs for lower-income and senior homeowners. Enhanced outreach to the community for advocacy, recruitment, engagement and development. Leveraged partnership success to boost public relations and media presence. The following details the current local collaboration opportunities for District 7475 Rotary clubs and Habitat affiliates. More info on Habitat affiliates will be added as it becomes available. Any club can contact its respective Habitat affiliate directly to arrange a project. The Habitat affiliate may also initiate a project by contacting any of the clubs in its service area directly. Affiliate highlights: Morris Habitat is a 4-star Charity Navigator organization (same as RI) with over $6 million of annual budget, Morris Habitat delivered 65 affordable homes in 2017, including 12 new constructions and 31 repaired homes mostly in Morris County, and 22 homes internationally. It currently has 200 homes in its pipeline, including three new developments in Randolph and Succasunna with 25 and 12 homes, respectively, and other smaller projects. Service opportunities: home construction, home repairs, ReStore donations collection, Blitz build, fundraising, etc. 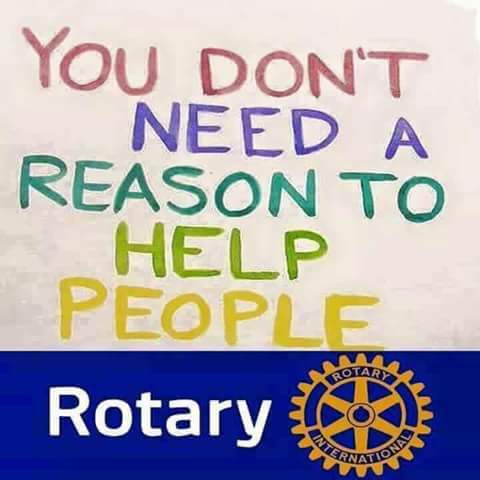 Rotary Clubs (21): Chatham, Chester-Long Valley, Denville, Denville Sunrise, Dover, Florham Park, Hanover, Jefferson, Madison, Mendham, Montville, Morris Plains, Netcong-Stanhope, Morristown, Mountain Lakes-Boontons, Parsippany-Troy Hills, Pequannock, Randolph, Rockaway, Roxbury, and Wharton-Mine Hill. Affiliate highlights: In 2017, Habitat of Greater Newark completed 25 affordable homes including 9 new constructions in Newark’s South Ward and 16 critical repairs for veterans, aging in place, and low-income residents throughout greater Newark. Since 1986, Habitat has delivered on nearly 200 homes. In 2018, Habitat of Greater Newark will expand its intensive critical repair work to include recently acquired Hudson and Union County through its innovative work with the PSEG Comfort Partners Program and other partners. Through our partnership with the American Red Cross, Habitat for Humanity of Greater Newark installed 337 smoke detectors for low-to-moderate income families in Essex, Hudson and Union Counties. There are multiple projects in development, including Phase II of our high impact Harmony Point subdivision, a multi-unit affordable project in Livingston and another in Summit, a NJIT student-designed townhome development in the West Ward of Newark, as well as multiple infill units throughout greater Newark. Also of note, Habitat of Greater Newark became the first Habitat for Humanity affiliate to receive the very prestigious Wells Fargo Regional Foundation Planning Grant which enabled the affiliate to continue its Neighborhood Revitalization efforts in Newark’s West Ward. Service opportunities: New home construction, gut/rehabs, critical repairs, A Brush with Kindness, fundraising, etc. Rotary Clubs (27): Belleville, Berkeley Heights, Bloomfield, Caldwells, Cedar Grove, Cranford, East Orange, Elizabeth, Fairfield, Glen Ridge, Irvington, Kenilworth, Livingston, Livingston Sunrise, Maplewood, Montclair, Mountainside, Newark, Nutley, Roselle-Roselle Park, South Orange, Springfield, Summit-New Providence, Union, Watchung-Warren, West Orange, and Westfield. Affiliate highlights: Warren County Habitat for Humanity completed two new homes and broke ground on a third, a veterans build, in 2017. In addition, WCHFH financially contributed through their tithe to build 8 homes overseas in Honduras. WCHFH completed 55 home repairs for low income, elderly and/or disable homeowners through their Hope in Warren program and are expanding the program’s geographical reach in 2018 to North West Warren County. The Warren County Habitat for Humanity ReStore has moved into a new, larger location in Washington, and the affiliate is also opening a Community Center with a projected opening in the 4th quarter of 2019. Affiliate highlights: In partnership with the local community and partner homeowners, Raritan Valley Habitat has built 50 homes over the last 27 years. This year we will be completing two additional homes and breaking ground on another. In addition to building homes, we help to preserve them. Our A Brush with Kindness home repair program creates safe, healthy and sustainable living conditions for the elderly, disabled, low-income families and other non-profit organizations. We are excited to announce that we are opening our first Habitat ReStore at The Marketplace at Manville in the early fall. The Habitat ReStore will provide new ways to engage and serve our community while reducing waste in landfills. The proceeds will enable us to build more affordable homes and accelerate and deepen our impact in the community. Service opportunities: Build, renovate or repair homes and ReStore. Affiliate highlights: The Greater Plainfield and Middlesex County affiliate has built 47 single family homes to date. It currently has two new construction projects in Plainfield ongoing, and one rehabilitation project in Avenel. In the fall of 2018, a new construction project is designated to begin in Perth Amboy. The affiliate is also partnering with the City of Plainfield to perform small home repair projects for seniors as a part of their Aging in Place initiative. Service opportunities: Home construction, repairs and rehabs, office assistance and fund raising. Any questions can be directed to Jeannie Tsukamoto, District 7475 Membership Chair and Assistant Governor, at 973-410-0723.